Edible Geography and Bldgblog have put together a design studio about quarantine, in which we are now fully immersed, dreaming up grand schemes for the city's infrastructure. Today we induced fellow studio mate, Thomas, an architect working in the city's Office of Emergency Management to meet us nearby for lunch. Fortuitously he works blocks away from the newly reopened Armando's, which we had spent the summer designing. Ostensibly we invited him to chat about quarantine but really we just wanted to grill him on the fascinating world of working for a city department who has its hands in every single "incident" occurring in the five boroughs. 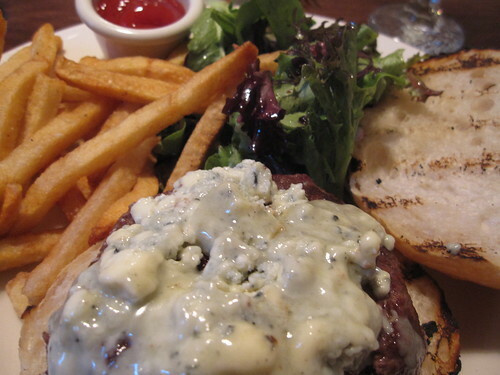 A great conversation in a great restaurant with a pretty tasty burger, gorgonzola and french fries.